Plym Physio provides holistic care for all. Their emphasis is all about ‘helping you to help yourself’. The team are knowledgeable, approachable and passionate. I have been a going to see Plym Physio for 8 months, I attend a weekly Pilates class which has completely changed the way I move and my strength has never been this good. Outstanding! I had Physio and acupuncture every week on my neck for 6 months after suffering for countless years, my neck has never felt so good and I finally have feeling back in my left hand. Nicola is amazing and the overall professional service I received from appointments to treatments have been second to none. Thank you Nicola and thank you Becky! I feel brand new! Really good advice, carefully tailored to my particular requirements meant that I was able to recover from nagging injury that I had almost given up hope of ever getting over. Thanks Nic! Cannot recommend highly enough. Nic is friendly yet professional and she really knows her stuff. The Physi-go mum classes really helped with back and pelvic pain during pregnancy and I’m looking forward to getting back to the classes with new baby in tow! I drove the two hour (round trip) with an incredibly uncomfortable lower back(!!) to specifically see Nic Rutherford. Regardless to say, I didn’t hesitate to see her this time round. After one session with Nic, following her assessment and advise, things improved immediately. Highly recommended and thank you Plym Physio. I have been a client of Plym Physio for almost a year and the improvement in my mobility and general posture is truly amazing. Nicky is really knowledgeable, expertly guiding us through the exercises in the Pilates classes – she knows all of our strengths and weaknesses and tailors the exercises accordingly. I also have had several Physio sessions with Nicky which have really helped loosen my old bones! Highly recommended! Have loved going to pilates classes at Plym Physio. Nic knows exactly what she’s talking about and gives lots of individual attention to make sure that you are doing the exercises in the right way. The problems I came with have been completely resolved and I can feel that I am much stronger, and therefore able to get on with life and looking after 3 young boys without needing to worry about back pain. Would highly recommend. Having had 3 previous physio’s look at my knee, it was great to finally meet someone that did a complete analysis of daily activities, my physical movement and knee stability to establish the problem and best course of treatment. I am well on the way to recovery and being able to exercise without fear of further damaging my knee. I have known Nicola for many years and recently have the pleasure of having consultations at the new premises at Seymour Road. The premises are new and smart ,car parking is easy ,and as usual personal service is given. Exercises are prescribed and whether you are an athlete or a recycled one it is well worth a visit. Friendly, down-to-earth staff, easy to talk to and a wealth of experience and physiotherapy knowledge to back up their good people skills. I recommend Plym Physio wholeheartedly. I was recommended Plym Physio for my nerve problem in my back,Nicola has helped with my mobility and set me some new challenges to improve my movement. Would highly recommend her services. Great service and friendly staff. I found that they really listened to me and found solutions to drastically reduce pain from my slipped disc. Best physio I have found in the search of reducing my back pain. Plym Physio has made a real difference to my injury with a huge improvemnt to my mobility and quality of life. I would recommend them to anybody looking for a quality physio to help them recover. Would highly recommend. Fantastic physio, very friendly and professional. Would recommend highly, to me Plym Physio are the best. Always professional, friendly and you always feel well taken care of . My physiotherapist has gone above and beyond what was expected when it comes to my wellbeing! Just wanted to say thank you for helping my mum and advising her to see her GP. She did end up going and they advised she had some tests and an ultrasound to make sure everything was ok, she was experiencing symptoms and had worried herself sick that it had come back. She went to hospital last month and they gave her the all clear, so she is extremely relieved and it’s down to you which we are very grateful. Once again thank you for your help, you’re a star. Sensitive, knowledgable and professional, would highly recommend. Just a brilliant Physio clinic run by hugely knowledgable physiotherapists. The Pilates Mum class is perfectly tailored to my needs after having a baby. A huge plus is that the baby can come also. Don’t hesitate to attend a class or book an appointment. Three weeks into the physi-go run class and feeling stronger and more confident about what I need to do to improve my core strength, stability and running style. I would highly recommend this class. Having just finished an 8 week physi-go run course, I’m now much better equipped to prevent injury, be stronger and more flexible. It’s great advice I don’t think you get anywhere else in a fun and friendly atmosphere. High recommended for Plymouth runners. Nicola is a fantastic physio, who not only treats the injury, but examines the causes around it. She has helped me improve my running and swimming style, and that combined with her pilates classes have seen a real improvement in not only my back and neck issues, but general wellbeing. In the past I have visited various Physiotherapists, Chiropractors and an Osteopath but not until visiting Nic have I had any degree of success. I have found my visits to Nic at her clinic and sessions in her Pilates classes to be hugely beneficial. Nic not only helps to relieve pain but also educates you in pain management so that you take control of your discomfort and not let it control you. Nic is thoroughly professional, patient, she listens to you and has an open mind. I can’t thank her enough for helping me to regain my life. This time last year I was settling for ‘this is it’! I was recommended (always a good start) to see Nicola for physiotherapy and with her considerable expertise and advice I have found you CAN turn things around. Attending her Pilates classes in conjunction with treatment is really reassuring as she knows exactly what you should or shouldn’t do at that particular time! A BIG thank you Nicola. I have ongoing neck and shoulder problems and have seen Nicola a number of times over the last 5 years for physiotherapy including acupuncture. On each occasion this has made a massive difference to my overall level of pain and range of movement. In addition to this for the last 2 years I have attended Nicola’s Pilates class on a weekly basis. Since starting these classes I have had no need for further physiotherapy sessions and I am equipped with the knowledge of different exercises to help relieve my symptoms. I really can’t recommend Nicola highly enough!! 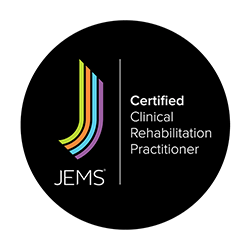 Having been treated regularly by Nic Rutherford for lower back pain over the last year I have found her to be not only astonishing in her level of knowledge around her field but also extremely supportive for my ongoing physical well-being, ensuring that I am equipped to maintain my health through proactive exercise regimens and changes in the way I operate on a day to day basis. Having see many physios and chiropractors in the past, Nic is the first to identify my underlying condition and treat the cause rather than just the symptoms. After treatment for a slipped disc and diagnosis of osteoporosis I was advised to attend a Pilates class. Since joining Nicky’s Clinical Pilates Class 18 months ago my aches and pains have virtually disappeared making life so much more pleasant. Nicky is so professional I would recommend her classes wholeheartedly. I saw Nic for pain in my lower back. I’ve had problems on and off for a while. Not only is my back feeling better I have a better understanding of what is going on and the exercise programme I have is making it stronger so I can do more things more easily. Having avoided all forms of exercise class for many years, I’ve finally been converted and have found one that I like and which works for me! Nic manages to make pilates classes enjoyable and fun with her friendly approach and varied, well structured sessions, tailored to suit each individual. I now have far more flexibility and definition in muscles I never knew I had and, importantly for me, have finally learned how to relax! Highly recommended. My line of work can be quite strenuous, involving manual handling and restraint. 20 + years ago I prolapsed my 2 lower lumbar discs, consequently I have suffered with regular painful recurrences. 6 years ago a work colleague introduced me to Plym Physio. Since then, I have attended regular clinical palates sessions. In the meantime following a skiing accident I ruptured my ACL. Nic has helped hugely in my recovery pre and post operatively. I can honestly say, that without Nic’s help, support and advice over subsequent years, I would have struggled to continue in the career that I love. The classes are small enough that Nic tailors the classes around individuals needs. Personally I can highly recommend clinical palates, with Nic Rutherford. In terms of her Physiotherapy Nicola has an understanding of the demands of competitive sport (helpful for those of us driven to participate in mad weekend adventures) and uses a methodical approach to identify injury or weakness. She then works with you on a recovery and/or strengthening plan. The clinical pilates classes are helping me to build and maintain stability for both general wellbeing and various sports including cycling and long distance swimming. I feel in safe hands because of her Physiotherapy qualifications. She makes the classes fun and includes suitable level of challenge to help us progress. I have suffered from a bad back and stiff neck and shoulders for many years . Regular visits to PlynPhysio keep me moving and at work – I can always get an appointment when I need one which is good to know. I also attend Nicky’s Pilates class which is brilliant, good fun and helps to keep me supple. I recommend Plym Physio to all my friends and family for friendly and effective physiotherapist.